Welcome to our monthly Craft And Create With Cricut Challenge. 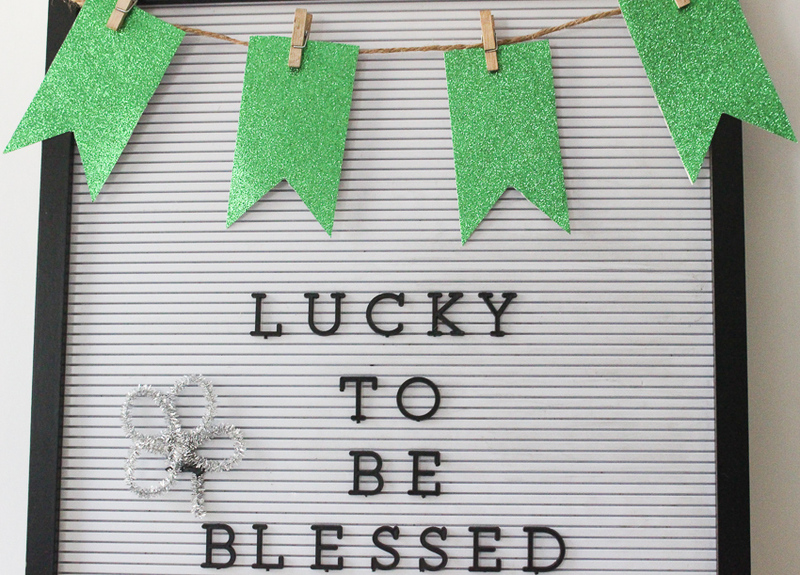 This month’s theme is St. Patrick’s Day and I made a quick and easy banner to hang on a letter board. 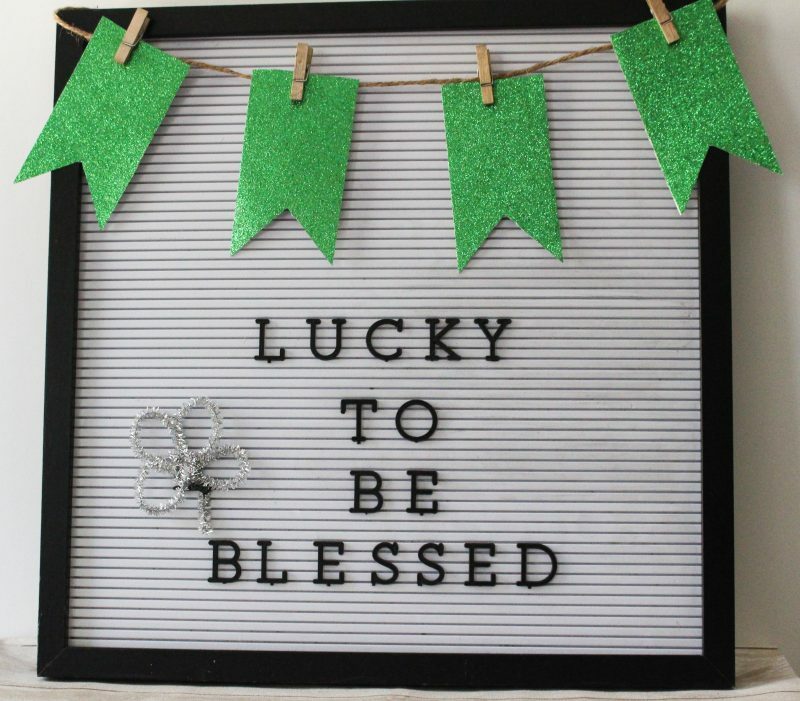 But I went with Lucky To Be Blessed. 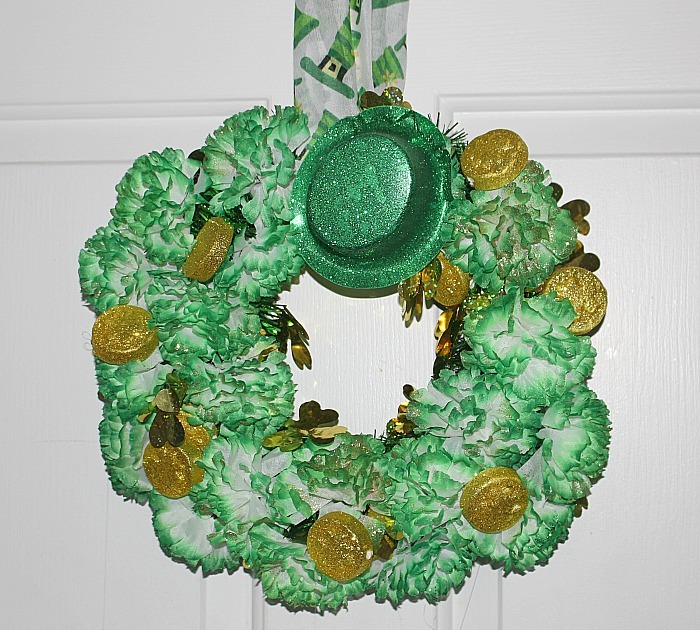 It just spoke to me and seemed like a perfect sentiment to celebrate St. Patrick’s Day! 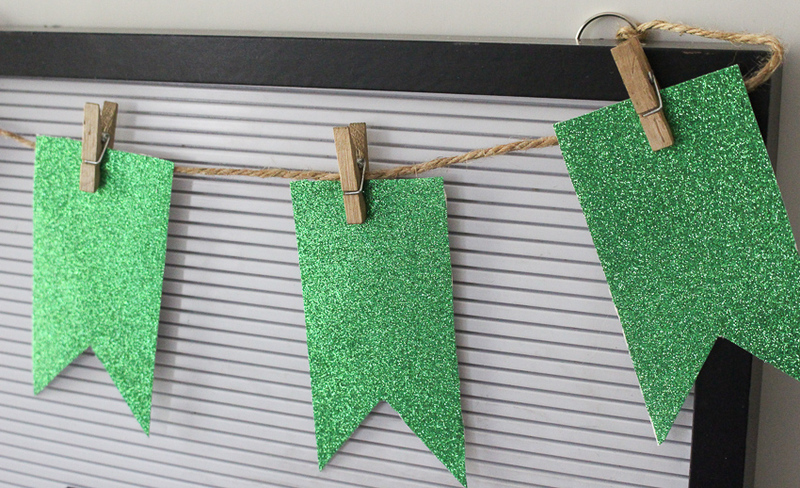 One of the great things about owning a Cricut is you can literally whip up a craft project in five minutes and that is about how long this banner took. Let me show you how easy this was. 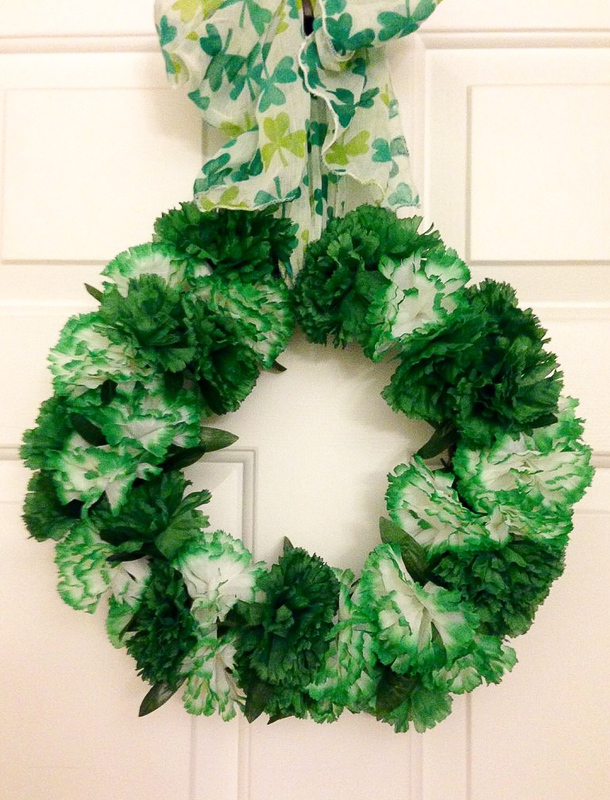 Do you decorate for St. Patrick’s Day or have any fun traditions to celebrate the day? If so, I’d love to hear. Leave me a comment below. 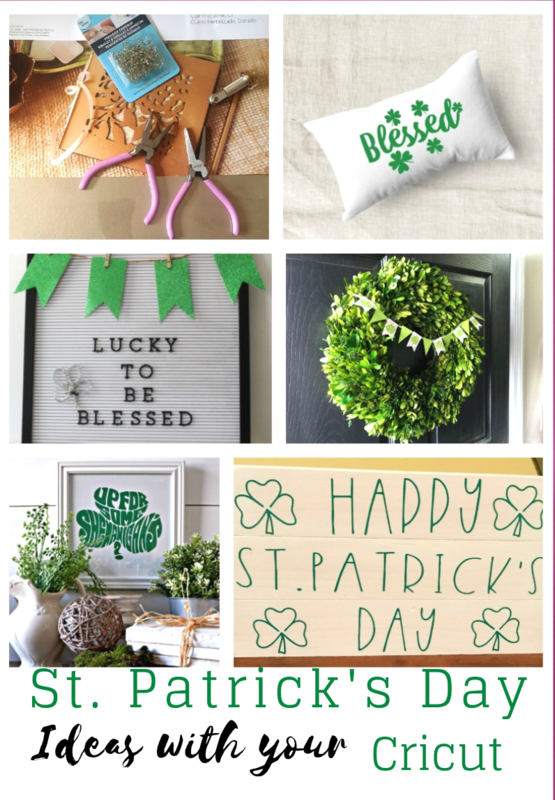 There are five other fun St. Patrick’s Day ideas being shared below, so please click the links and hop on over to see the fun. Have a great day! Sharing is caring-Pin this image! Simple, easy and so cute with a huge impact. The banner looks so good on the letter board and just makes it look amazing! 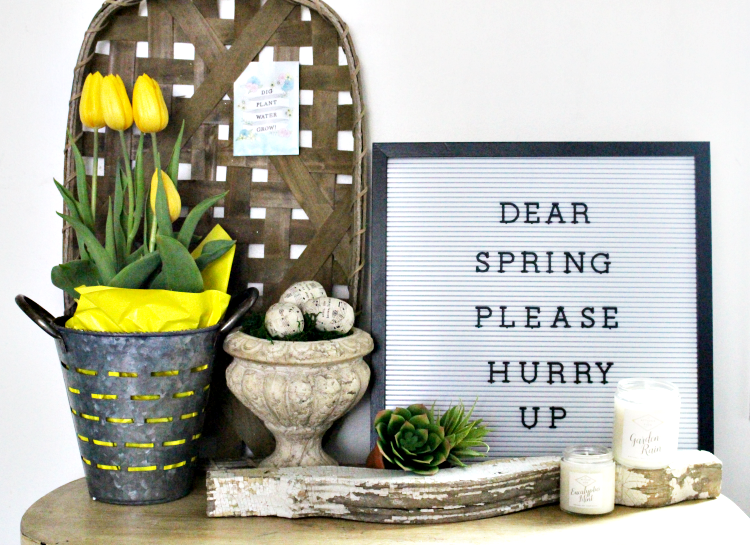 I really need to get a letter board. This is the perfect combo, Michelle! I love miniature things and I love letterboards. Very cute.